Juris Doctorate Degree from the University of Notre Dame in 1990. Michael has handled hundreds of heavy truck accident cases involving serious personal injuries or death, and has lectured to trucking companies on improving safety, compliance with the Federal Motor Carrier Safety regulations, reducing driver fatigue and distraction, compliance with hours of service requirements and cargo safety. He was a contributing Author to “Damages: Tactics in Personal Injury & Death Cases” published by the Pennsylvania Bar Institute. Michael limits his insurance coverage practice to representing only policyholders. 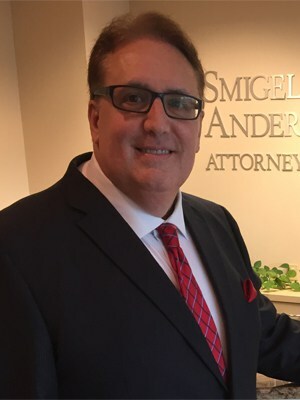 He handles claims involving life, accident, disability, auto, underinsured/uninsured motorist, general liability, cost cap, errors & omissions, directors & officers, food contamination, recall, property damage, fire, flood, wind and hail damage. He is the founder and publisher of “Is That Covered?”, a regular newsletter and blog aimed at educating clients and the public about insurance coverage issues. Michael has obtained numerous insurance and personal injury awards in excess of $1 million. He has represented Fortune 500 companies, small and mid-sized businesses, local governments and individuals. He has a reputation as a tough, determined advocate for his clients and as an outstanding trial lawyer.